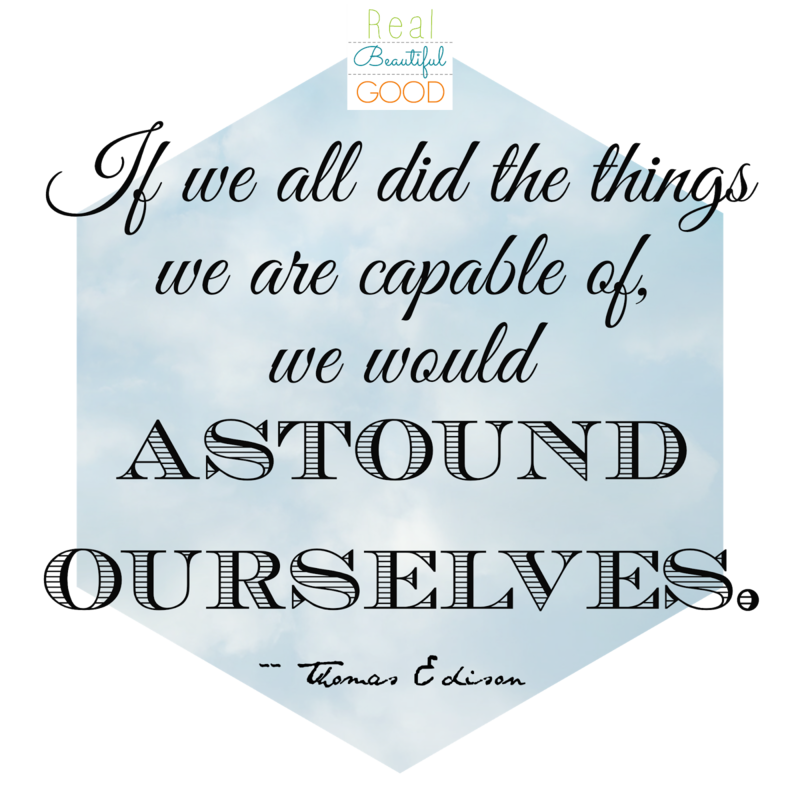 Taken out of context, this quote is an AWESOME concept to apply to your own life! You don't need to stay on the paved roads! Make your own path! Or just soar above the crowds with wings of your own making! Life is about exploring and discovering... not following the same path as millions before you. I like all different styles of coffee... it really just depends on the day (and time). But, with all of the choices, how does a sleep-deprived momma know what to get? I'll be honest, it has taken me years to really get a good handle on the ins and outs of coffee. You don't need to go through all that! So, in honor of today's gloriously caffeinated holiday, here is a quick guide to ordering a beverage that is just right for you. 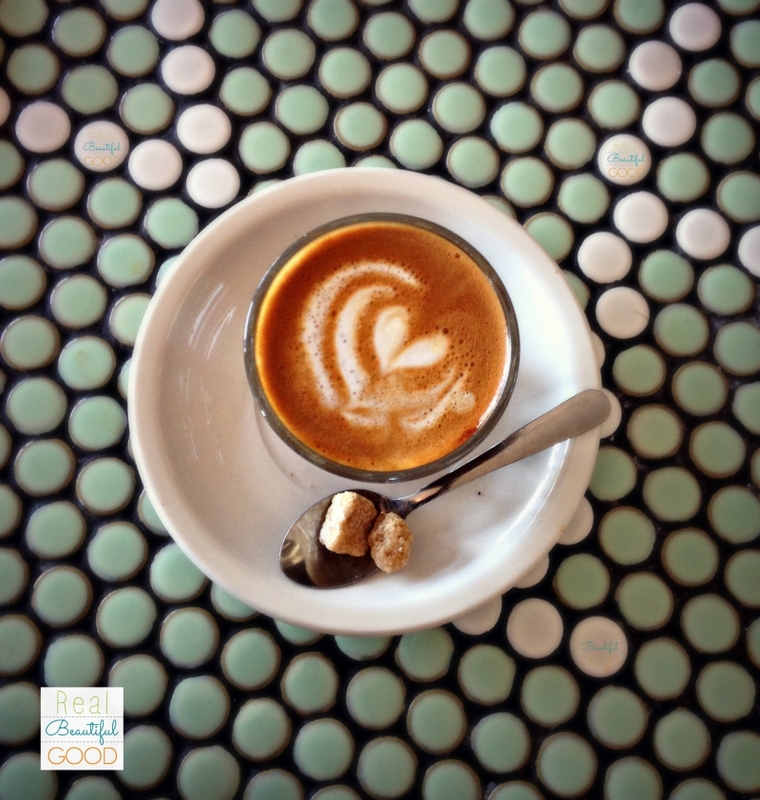 Cortado - an espresso cut with a small amount of warm milk. *If your favorite coffee shop is Starbucks, and you want to order a true Macchiato, order an "Espresso Macchiato." The "Caramel Macchiatos" on their menu involves lots of milk and sugar and are probably incredibly delicious, but don't really resemble a traditional Macchiato. 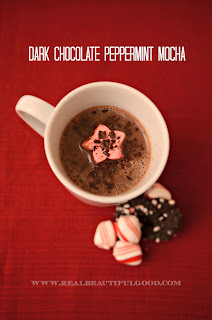 To make a decadently delicious beverage with a kick of peppermint at home, try this recipe! What an awesome experience! My family and I had been looking forward to seeing the Super Blood Moon/Lunar Eclipse for the last few weeks. And although we weren't able to head to the county for a really great view, we still had a great time seeing the eclipse from our home in the city, streetlights and all. The Super Blood Moon, Sept. 27, 2015. Did you know that last night's full moon was also called the Harvest Moon? This term applies to the full moon closest to the autumnal equinox (aka first day of Fall). Back to the term "Blood Moon." This actually seems to be a pretty recent term as applied to total lunar eclipses. It's easy to see why it's caught on - it's a compelling name, easy to remember, and it describes the reddish hue of the eclipsed moon in a descriptive way. However, historically, the name "Blood Moon" has more often been used to describe the Hunter's Moon, which is the first full moon after the Harvest Moon. Theoretically, the Hunter's Moon tends to look more dusky-hued near the horizon than other full moons, therefore earning a descriptive name. Monday Motivation - Are You Having a Hard Day? There are days in which everything seems to be conspiring to overwhelm us. A step back in our finances. Kids who just WON'T cooperate. A frustrating day at work. A fender-bender on the way to the grocery store. An oven that decided to stop heating just as you were putting in the dinner you had spent an hour putting together. These days are hard. I know, I've had a lot of them lately. These days seem to sit on top of you, and threaten to suffocate. The pile of problems and annoyances start to feel much larger and heavier than the sum of its parts. 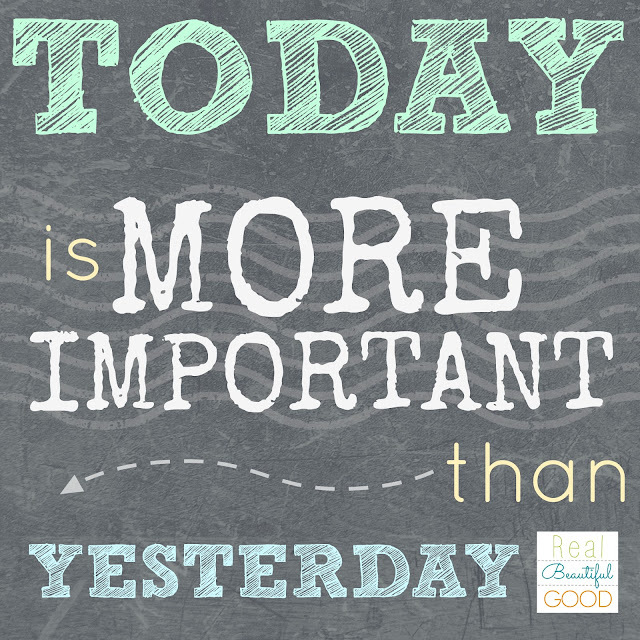 How do we overcome days like this and keep moving toward our goals? Sometimes, it helps to hear the story of someone who has overcome much, much more. I was so inspired by this story about 64-year-old Ruby Chaucer. I can't imagine the hardships and pain she must push through every day in order to pursue her dream. It puts into perspective all of the little problems that have made me feel so bogged down. I have been trying to work and grow while fighting with appliances, kids, and angry drivers. She has been trying to work and grow while fighting for her life. "What she cared about was school. She took tests for her classes online from her hospital bed. She wrote essays on a cramped little desk at home. She did her homework while her hair was falling out, and she did her homework when her kidneys were shutting down. 'I just want him to know that his mama’s happy and she’s goin’ on with her life,' she says." You can read the entire story from the Dallas Morning News here. Occasionally, I love to share things I have found on the internet that I think are especially inspiring. 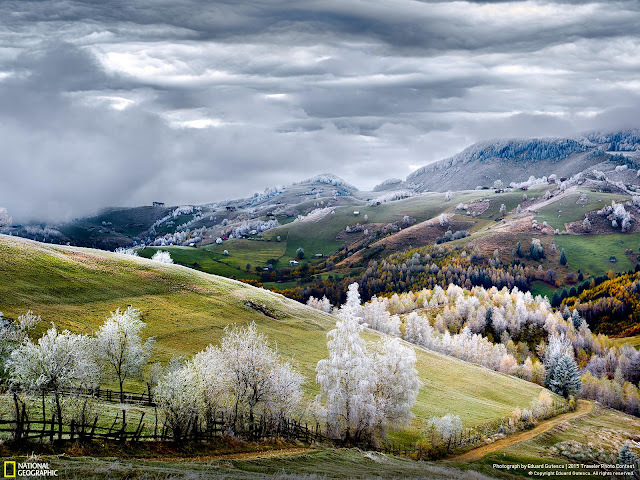 Today, I had to share these National Geographic Award-winning photographs - the almost unbelievable natural beauty is awe-inspiring and soul-touching. 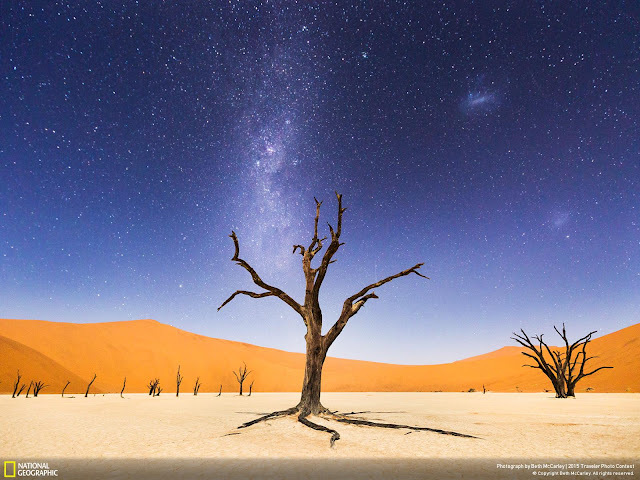 These photos are from this year's "2015 Traveler Photo Contest," and were judged among the overall winners. 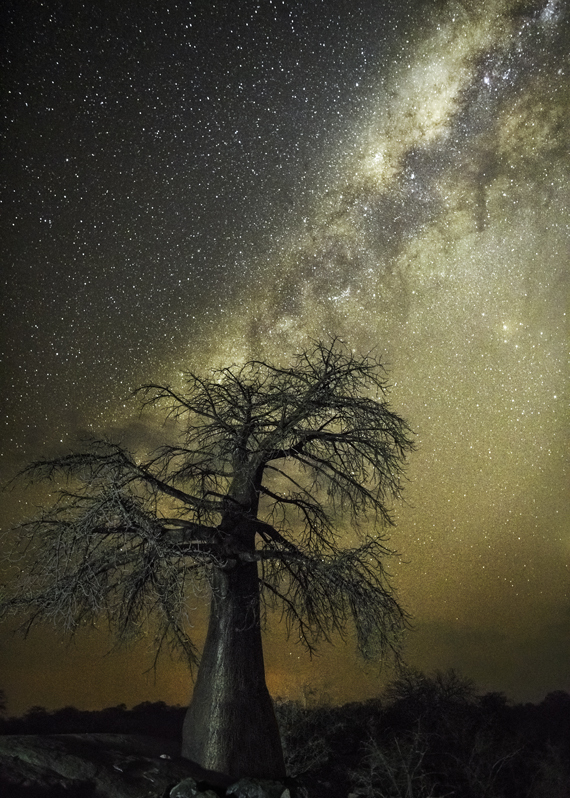 Check out the artists' website links below the photos for more breathtaking photography. All rights reserved by original artist. The more time, energy and emotion we spend thinking about YESTERDAY, the less we can devote to making TODAY what we want. Put all of your energy into TODAY, and you might just be amazed at what TOMORROW brings you!! We are always hearing the message that, to be "successful," we need to choose just one thing to focus on. For years, I struggled with this, because I have always had so many interests, and loved doing so many different things. Trying to narrow focus and deny some of my talents was taking a huge, painful toll on my soul - as if I were starving parts of it in order to force-feed other parts more. I finally decided that, for me, it's ok to not pour everything into one pursuit or just one talent. Maybe success doesn't have to look the same for everyone. We are all given different, unique gifts, and we are given them for a reason. 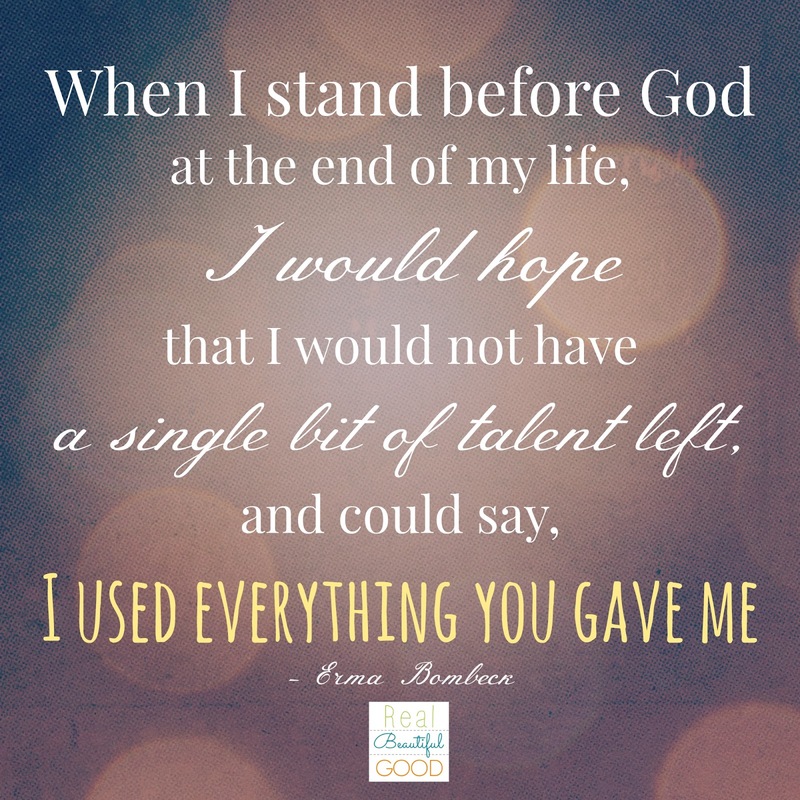 Instead of fighting it, we should strive to use every bit of talent we have been given. When we nurture our whole soul, only then are we able to be the beautiful creation we were meant to be. 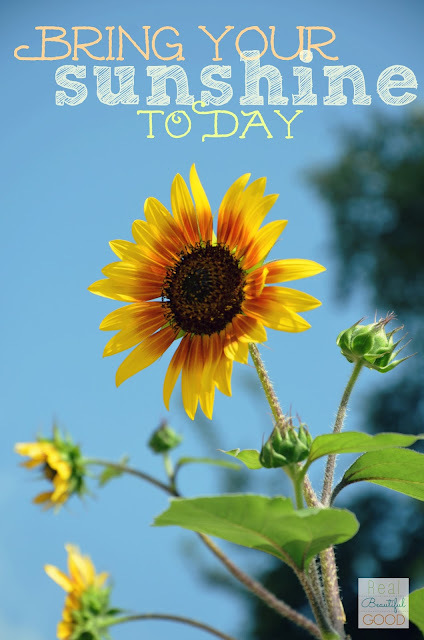 Monday Motivation - Bring Your Sunshine Today! ...and create your own sunny, happy day!!! 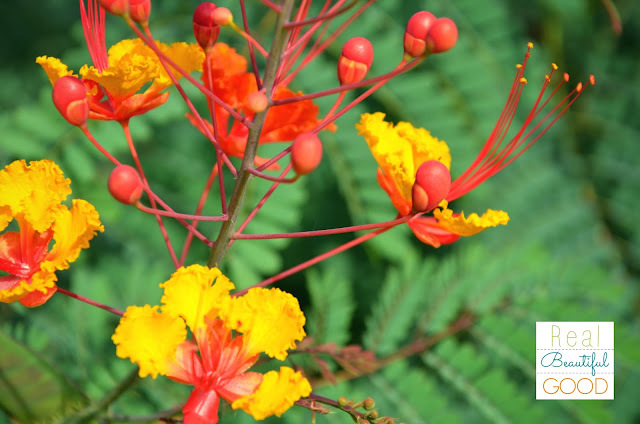 You have a beautiful, radiant inner light that is just waiting to burst forth and light up your day. 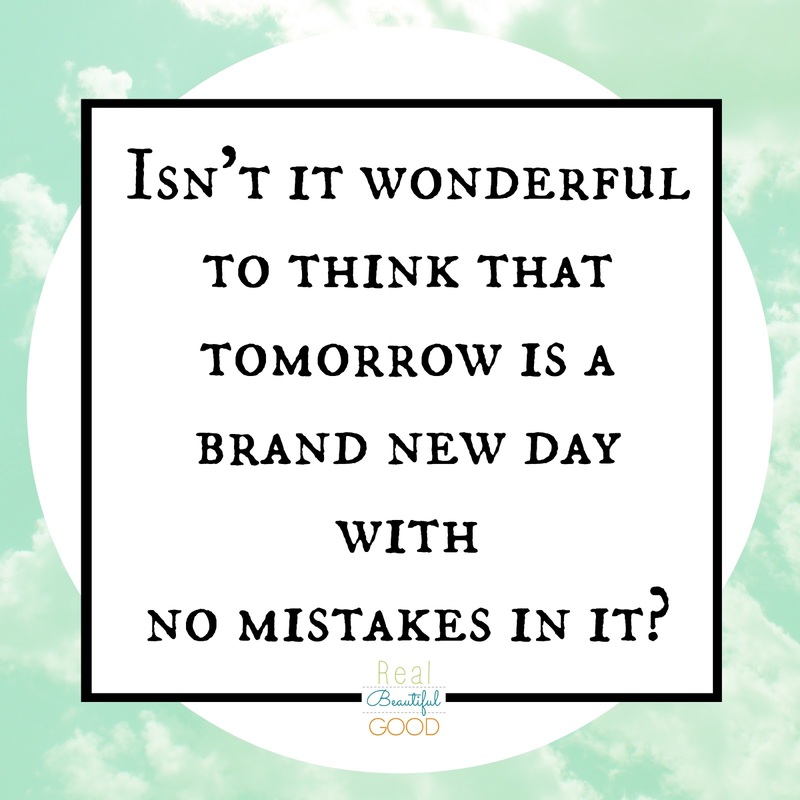 So set it free, and make today brilliant! Copyright J. Penner 2015. All Rights Reserved. Sometimes, all we need is a glimpse of nature to brighten our day. I took this picture on a walk in my neighborhood on a particularly frustrating day... but as I looked through the zoomed-in view of my camera, and saw all of the beauty surrounding me, it helped put things in perspective. We can look around us and think we see. But, if we don't believe we have seen anything worthwhile, it's time to look again. Change perspective. Focus attention. We just might be amazed. Green is one of my favorite colors. It reminds me of the outdoors and the calming influence of mother nature. For me, the vibrant green in this picture is simultaneously soothing and stimulating. 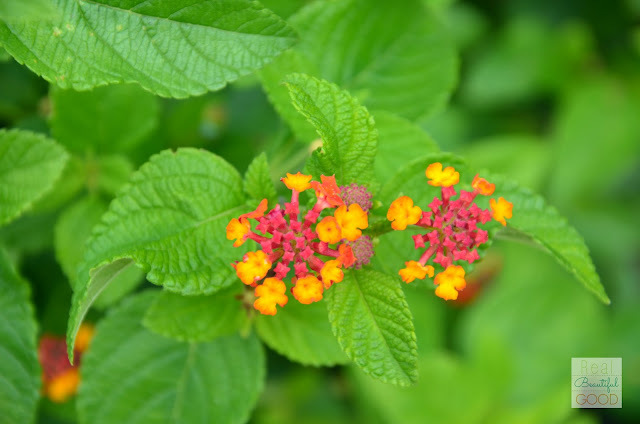 I also love this picture because of the pop of pink and orange of the Lantana flowers that seems to radiate happiness! I hope you enjoy it, too! On one hand, this quote reminds me a lot of dealing with a particularly frustrating customer service department. The front-line folks generally have very little power to solve problems, they just listen to your complaint, apologize, and then do nothing. Don't ever take that as your answer! Speak to as many people as it takes until you have reached someone who can actually help. On the other hand, and in a more big-picture sense, this quote can really make you think about who actually has power over your dreams and goals. 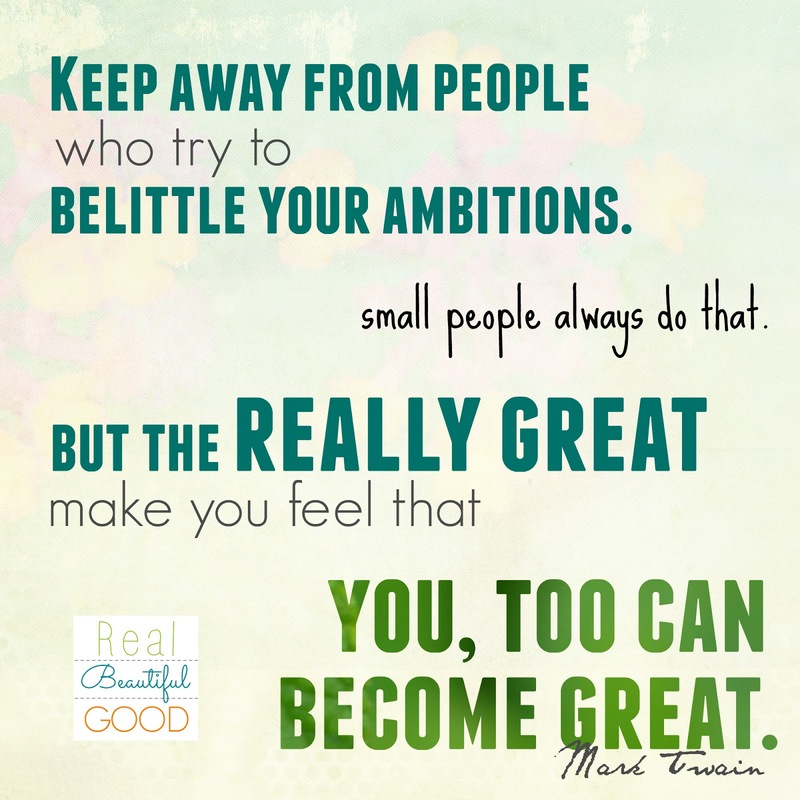 Often, there are people around us that make our dreams seem like impossibilities. 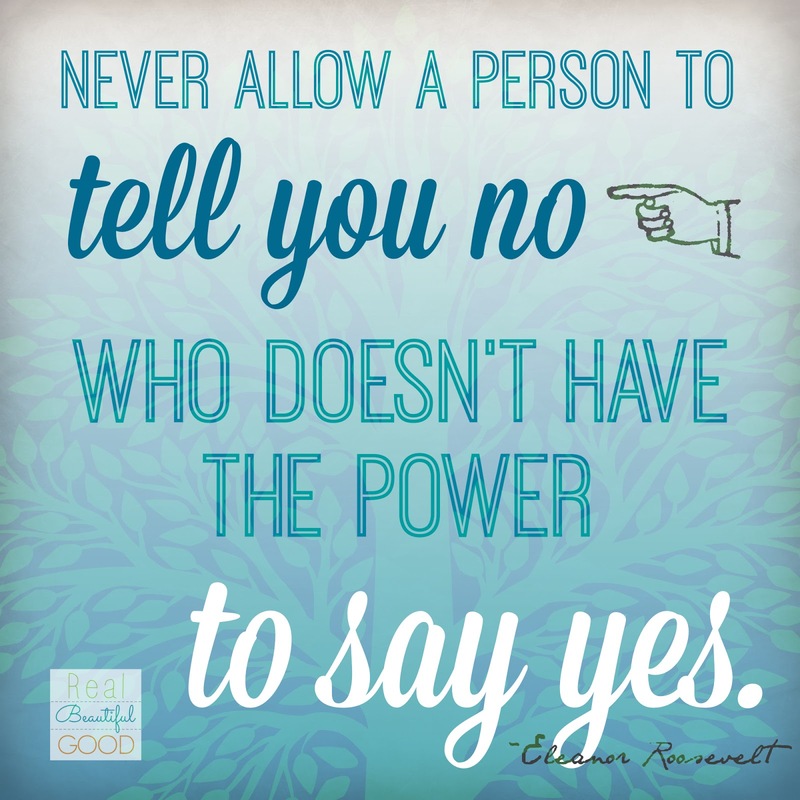 Have you ever allowed another person's negativity to affect your motivation? Did they tell you that your dream was too big, that your goal was too hard to reach? Did they go out of their way to remind you of all of the insurmountable (to them) obstacles you would face? Here's the thing - no matter who that person was - parent, boss, spouse, friend - they don't have the power to make that dream come true for you. So, don't let them tell you no. The one person in the world that has ultimate control over your dreams is... you guessed it, YOU. Remind yourself of that daily, and keep a silent, reassuring YES always in your heart. 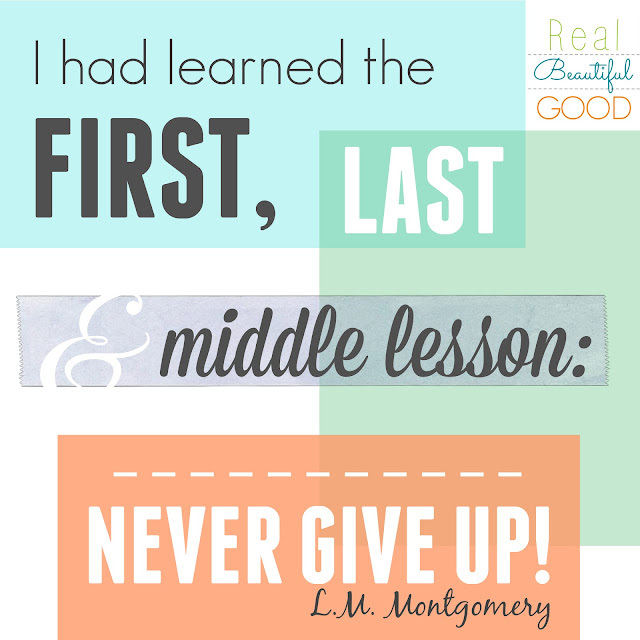 Monday Motivation - Never Give Up! For many of us, the drive to be perfect can sometimes inhibit our ability to get things done. Our best intentions fail us. It's at these times that we have to remind ourselves that no matter how we see something in our minds, if we can't complete it, nobody else will ever be able to appreciate it. It is much better to show someone slightly less than what you think is your best, than to show them nothing at all. 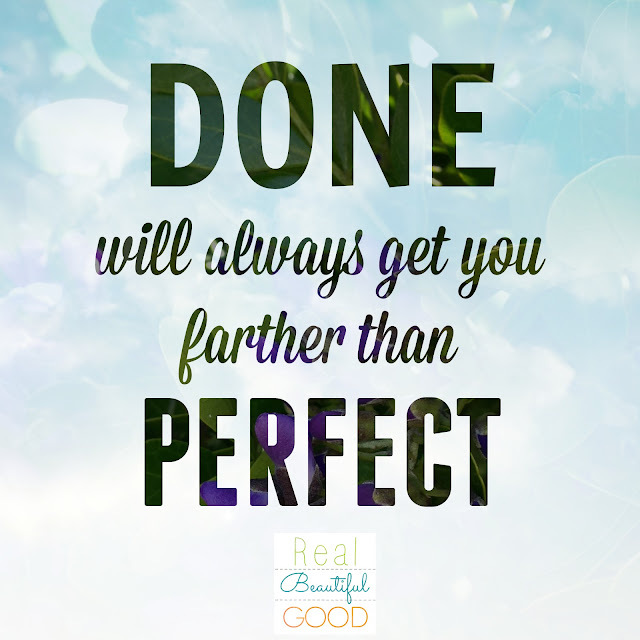 Today, keep in mind that "done" will always get you farther than "perfect." May you have a productive, prosperous, successful week! There is so much beauty out there waiting to be revealed. 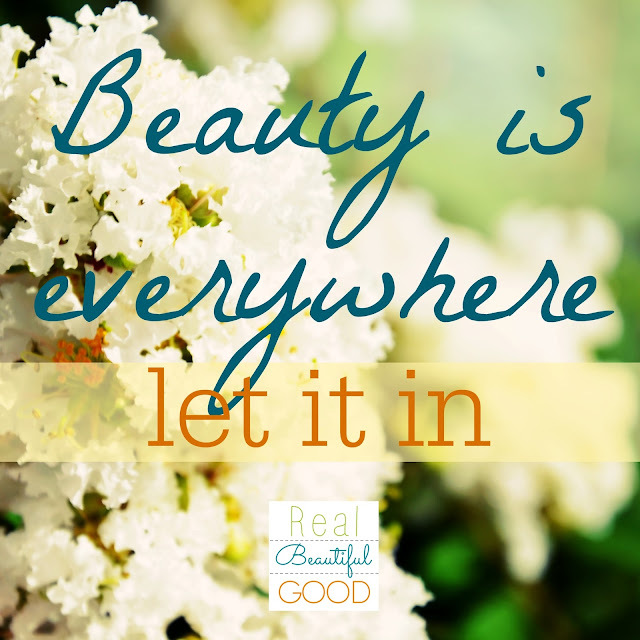 Beauty that is so much bigger than us and our everyday problems. Beauty that, however fleetingly, lifts aside the veil between us and eternity. 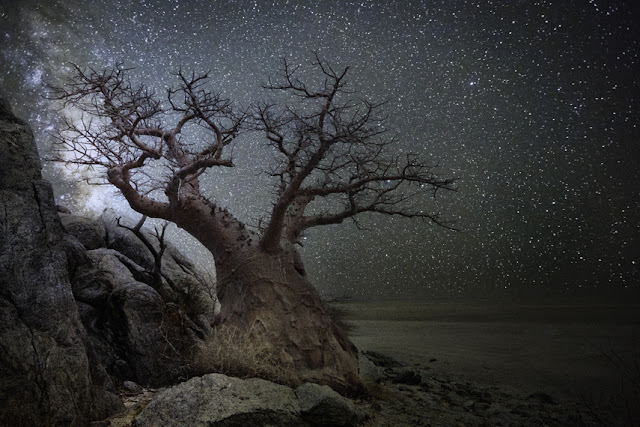 These pieces of art are actual photographs created by Beth Moon, who traveled to far off locations to capture Earth's oldest trees. She used extra-long exposures to capture the awe-inspiring backdrop of our incredible heavenly neighbors. I am sharing these photographs on RBG today, because I want you to feel the same sense of awe and wonder that I did when I saw them for the first time. 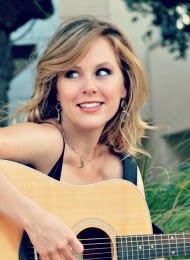 Read more about her journey by clicking here. 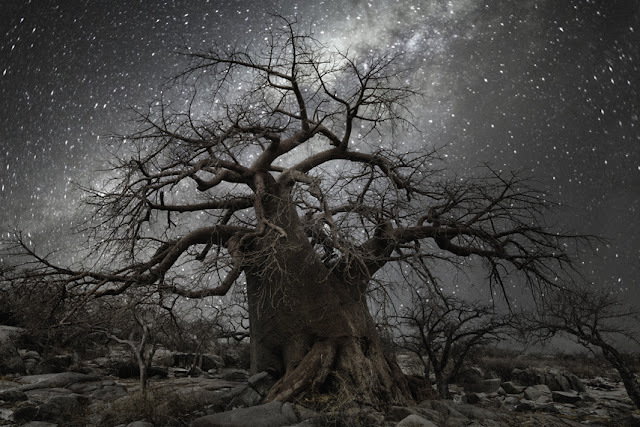 All rights reserved by Beth Moon Photography. Sometimes, a few simple, ordinary words combine in a way that produces magic. For me, that is what these few lines from a selection of Robert Frost's poetry do. Taken in context of the entire poem, these words may have a far different meaning. * But standing alone, these 22 words convey adventure, destiny, freedom and the extraordinary - and make you believe that they are written just for you. 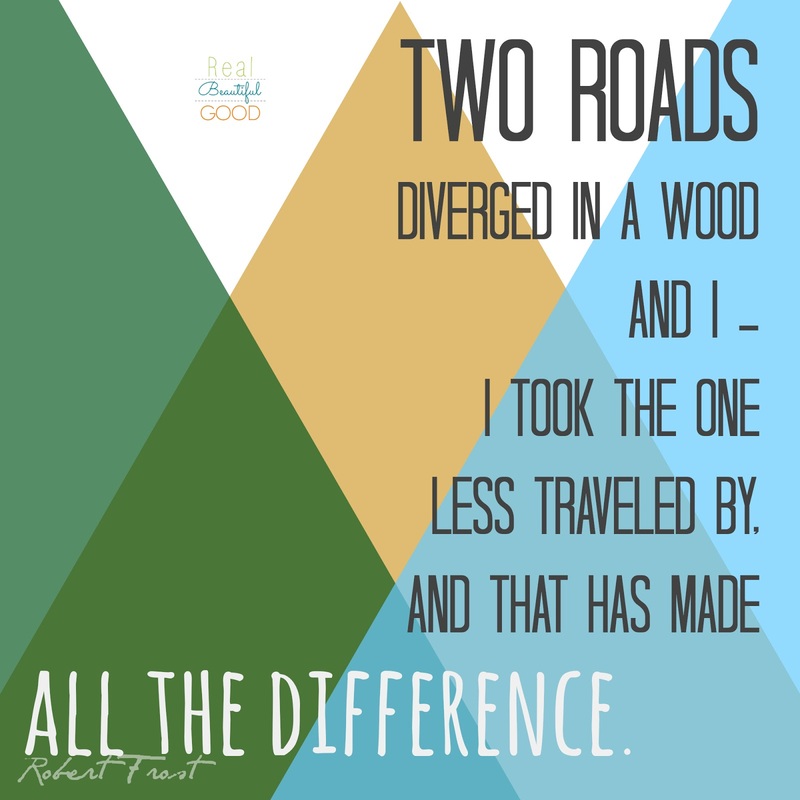 I hope these words of wisdom from one of our greatest literary magicians (whether he intended them to be so taken or not) inspire you to think of your path not just as the road you are walking, but as your own unique destiny, leading you to seldom seen wonders and your own definition of success. May they also remind you of the futility of regret. This poem is perhaps a tongue-in-cheek look at the inevitable regrets of the indecisive among us, but the magic and beauty of the last three lines has transcended the original poem and taken on a meaning greater than the artist intended. And after all, isn't that the true value of art? The ability of each of us to personally interpret the beauty of the creation in a way that reflects our own soul or desires? Isn't this the truth? 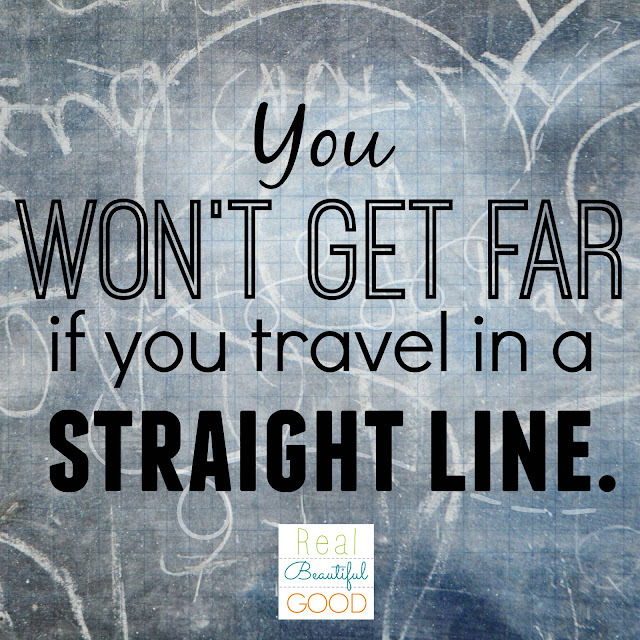 What would happen if we only traveled straight? 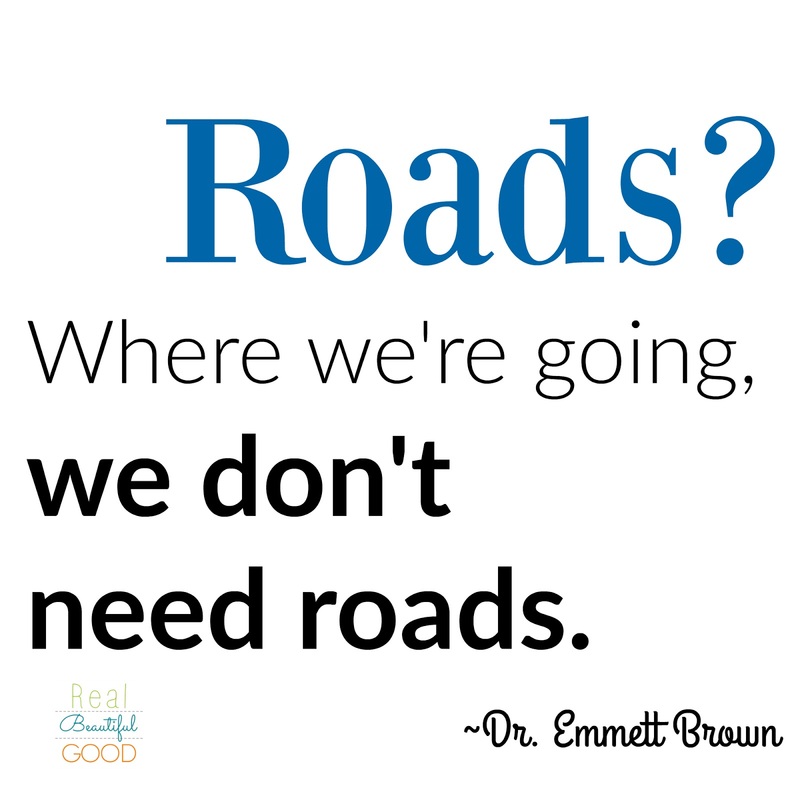 How would we get past the road blocks, walls, mountains? We certainly couldn't climb the mountain - the hardest way up a mountain is - you guessed it - in a straight line.